The United States could be on the verge of calling its first constitutional convention since 1787, and the American Legislative Exchange Council, or “ALEC,” has been working behind the scenes to make it happen, including through its new lobbying arm, the Jeffersonian Project. The campaign has attracted little media attention, but the pieces of legislation that could trigger a convention are moving forward much more quickly than many have anticipated. 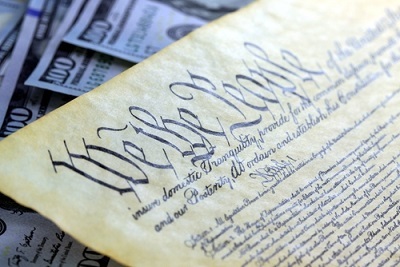 Although there are many unanswered legal questions about the constitutional convention strategy — and fears on both the right and left of an out-of-control “runaway convention” — if a balanced budget amendment were eventually enacted, it would cripple the federal government’s ability to spend, likely forcing steep cuts in earned benefit programs such as Social Security and blocking Congress from responding to economic downturns or natural disasters. According to some counts, resolutions calling for a constitutional convention to create a balanced budget amendment have been passed in at least 24 of the necessary 34 states. In just the past seven months, twelve states have proposed such resolutions — in most cases sponsored by ALEC members — and six of those measures have passed. Because a constitutional convention has never been triggered under Article V, a cloud of uncertainty hangs over the effort. It is not clear whether a state’s resolution calling for a convention can expire, nor is it clear whether a state can rescind its demand after it is made. U.S. Rep. Duncan Hunter (R-CA) has asked Congress to resolve these issues, although it is unclear whether House Speaker John Boehner will take up the effort. If you are not worried or frightened, you should be. The connection between the Teaparty and ALEC can not be denied anymore. Their hand selected local, state, and federal leaders has put our values, our nation and our freedom at risk. They have infiltrated all our organizations and our governments especially in the last 4 years. The Government is not what America should be afraid of. We should be terrified of ALEC. The National Organization for Women (NOW) has been trying to amend the Constitution for years. Equality in pay, job opportunities, political structure, social security and education will remain an elusive dream without a guarantee of equality in the U.S. Constitution. NOW and other organizations have been fighting for equality for over 60 years and have not gotten the Constitution amended. More than half of us are still fighting for equality but if ALEC undermines the basic core of this nations social obligations we will never see progress happen.